The Excel-Soccer League Manager Version 1.25 Build 240717 for the season 2017/2018 has been released some minutes ago. The new version includes some minor improvements and cosmetic corrections. Additionally, the sheet for the predictions includes a dynamic print range, so that only the relevant parts of the sheet are printed. However, this will only work unless you are not changing the print range manually. As usual, the tool is in its delivery state available in the three languages English, French and German. 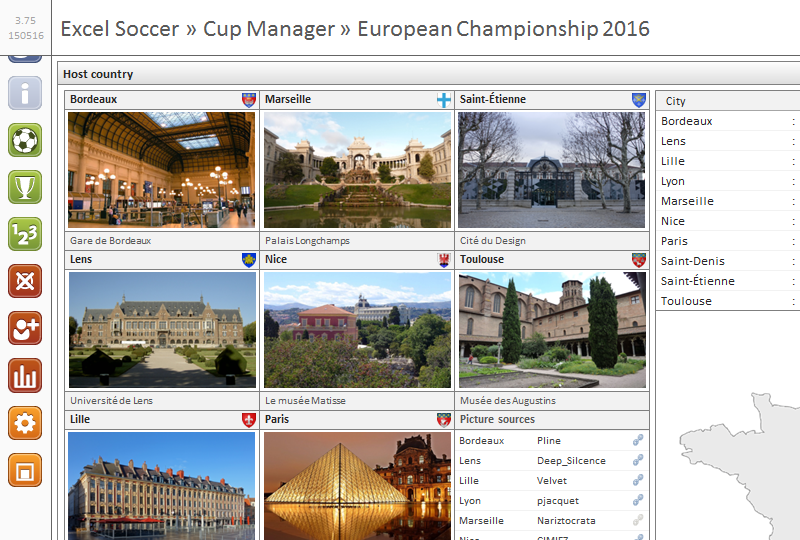 The latest Excel-Soccer League Manager Version 1.10 Build 150715 for the season 2015/2016 has been released today. The new version includes some minor improvements and a new prediction game report for single match days. As usual, the tool is in its delivery state available in the three languages English, French and German.